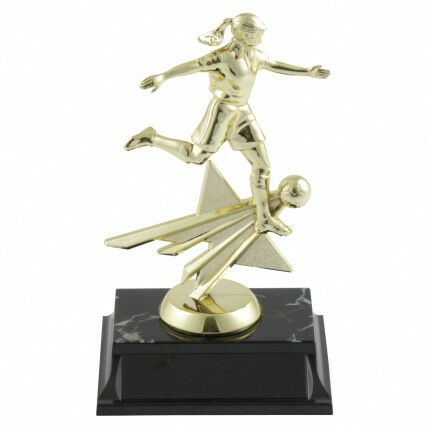 This awesome trophy will be the highlight of the soccer season! 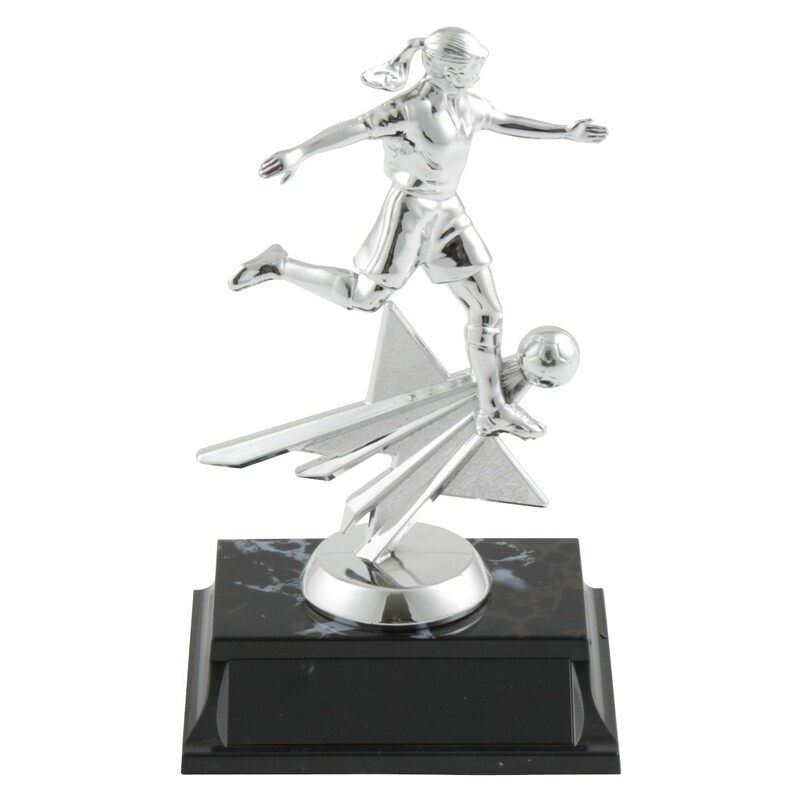 The Girl Supernova Soccer Trophy features a star powered girl soccer player in action. Your choice of a gold or silver figure on a black marble topped base. 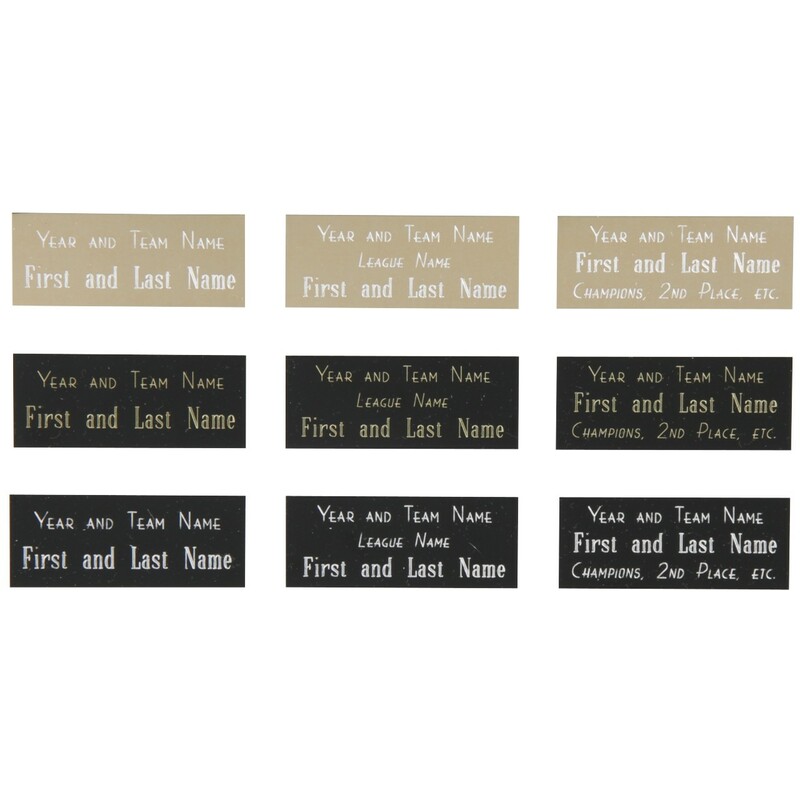 Make sure to take advantage of our free engraving offer and add each player's name, the team name, and the year to this star bound award!